BETHESDA, Md., March 31, 2015 – ROSS Renovation & Construction (RRC), a leader in multifamily renovation in the Washington, D.C. area, announces the promotion of Jason Klippel and Gilles De Concilio to senior leadership roles. Jason has been appointed to senior vice president and Gilles was named vice president of ROSS Renovation & Construction, following the retirement of John Rutt, who co-founded RRC. In their new roles, Jason and Gilles will oversee all business development, construction management, personnel, and client relationships. During his 25-year tenure at RRC, John played a significant role in the growth of the organization, and was responsible for apartment renovations, condominium conversions and extensive capital improvements on more than 20,000 apartments in more than 75 properties. Jason and Gilles have been working alongside John for some time. Jason, who joined ROSS in 2005, will be responsible for construction management, underwriting and investment opportunity analysis, as well as managing all aspects of new development properties, including feasibility, zoning and entitlement. 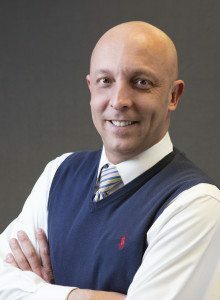 Prior to joining ROSS, Jason was an analyst and civil engineer at the Department of Labor where he managed a $250 million national capital improvement program and a senior project manager at James G. Davis Construction Company. He holds a bachelor of science in civil engineering from Villanova University and a master of science in real estate finance from Johns Hopkins University. Gilles, who has been with ROSS since 2006,will assist Jason in the execution of capital improvement projects and apartment unit improvement programs. Before starting at ROSS, Gilles founded an international trade company of French antiques and furniture between France and the United States with two showrooms (Washington, D.C., and Kensington, Md.). He holds a master’s degree in criminology from the University of Montpellier France and a third-year degree in labor law. ROSS Companies, founded in 1983 in Bethesda, MD, is a recognized leader in multi-family acquisitions and investment, development, property management and renovation. With a managed portfolio of more than 11,000 apartment homes in 25 communities, the privately-held company is one of the most active multifamily real estate firms in the Mid-Atlantic region. ROSS Companies is comprised of three affiliates – ROSS Development & Investment, ROSS Management Services and ROSS Renovation & Construction. In 2015, ROSS Development & Investment is celebrating its 32nd anniversary and ROSS Management Services is celebrating 27 years in business. In 2014, 18 ROSS-managed apartment communities were awarded the Apartment Ratings’ 2013 Top Rated Award, reflecting ROSS Companies’ unwavering commitment to customer satisfaction. These annual awards recognize communities with outstanding resident satisfaction ratings as measured on ApartmentRatings.com. 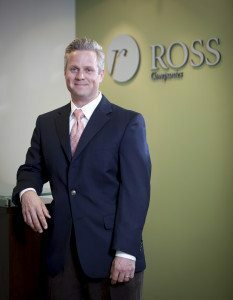 For more information about ROSS Companies, visit TheRossCompanies.com.